This week in southeast Washington, the temperature is in the 90’s and 100’s without any relief soon. Regardless, young kids are playing in the parks and finding some relief from the heat in local swimming pools. Many kids are busy with summer sports. In Copey this week, the weather probably looks much different. It is the rainy season, temperatures in the 70’s to 80’s, and the only visible form of recreation is the local soccer field I recall seeing during my visits to Copey. The young students attend school and spend time at the Learning Center during our summer season. It seems almost like two different worlds and in many ways it is. We are trying to connect these two worlds as the young kids meet thru our new Pen Pal Program. Last week I provided you two letters written by students from Virginia. This week I am sharing one of several letters being sent to the Virginia students from the Learning Center students. As a side note, this letter was written by a student being supported by the Anne G. Broady Scholarship Fund. Click on Menu for more info on the Scholarship Fund. These letters represent a great start in connecting students in two countries. We are experiencing the beginning of hopefully new friendships and extraordinary learning opportunities. Although US schools are still enjoying summer, in a couple of weeks Lisa Baldwin’s school starts up again and her students will return to their pen pal letter writing. Two new volunteer teachers have arrived at the Learning Center. Stacy and Chris Good arrived from Philadelphia, Pennsylvania where they have lived and taught school for four years. Stacy teaches high school math and Chris teaches high school social studies. They are both excited to begin a new chapter, in which they will teach English to all ages attending the Learning Center. This will be a different experience for both of them and they are eager to bring their expertise and experience to create fun and meaningful classes to the Learning Center…..“Welcome Aboard”. I reported in my last Post a “urgent”need for some financial assistance to help the Learning Center raise funds to purchase school supplies. We have raised some funds and Thank You! In case you had planned to donate and not yet found a couple of minutes to do so, I want to ask again for your assistance. 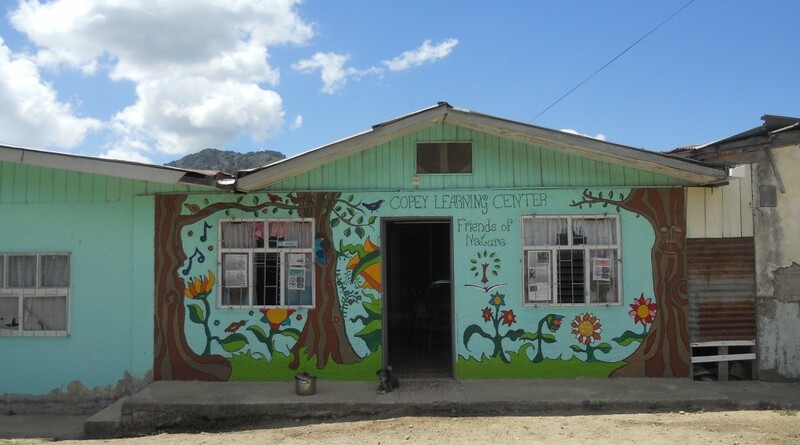 Small donations are certainly welcomed and will go a long way to help the Learning Center finish out the school year with sufficient school supplies. Deadline for this request is extended to August 5. Please indicate you are donating on behalf of “Friends of Copey”. Thank You for your ongoing support.